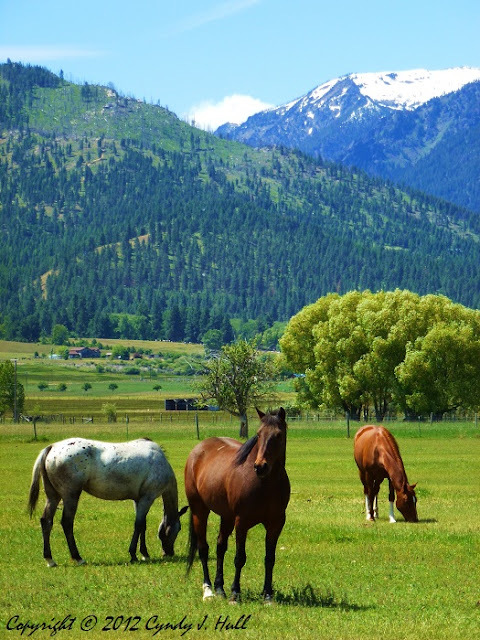 Quintessential Montana - snow-clad mountains fronted by green pastures hosting contentedly grazing horses. Just another view that doubles as a valid reason to treat yourself to a revitalizing visit. how beautiful is nature! amazing how can this beauty motivate someone to live ! It's a worthy prescription for many ills of the heart - with no bad side effects!